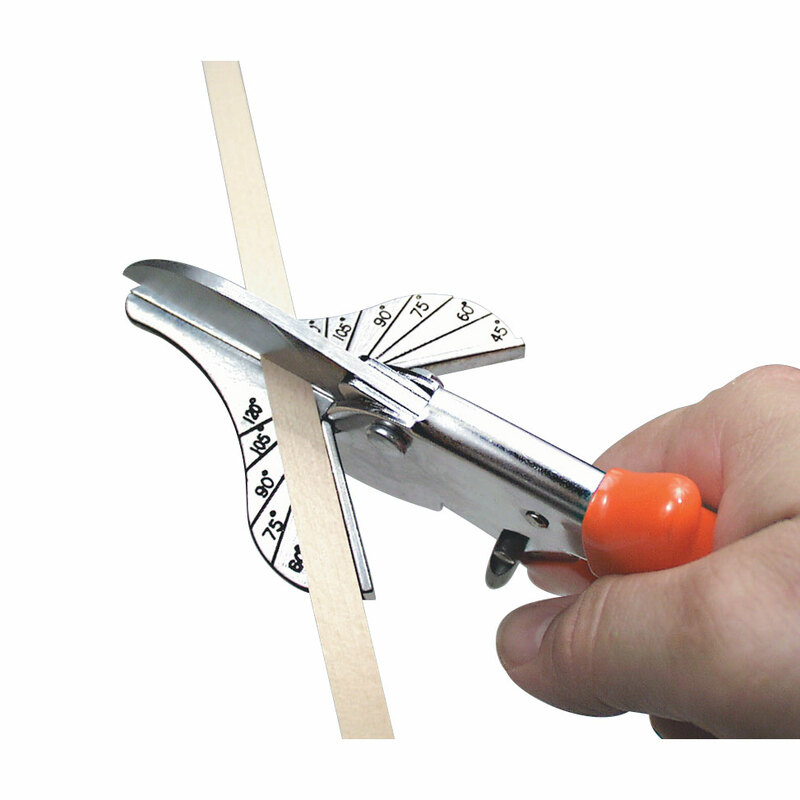 An excellent tool for ship modelers, miniaturists, airplane modelers, model railroaders and picture framers! Cuts miniature molding, model railroad timbers, dowels, plastic and wood structural shapes, strip stock, ship model planking, even full size picture frame molding, and it can also cut your assembly time in half. Razor sharp blade cuts across the grain with a clean, smooth shaving action and it's as easy to use as a pair of scissors! Has left and right hand, 45 degree miter fence and a scored mark for lining up stock for 90 degree cuts. Precision made nickel-plated steel handles and aluminum alloy anvil. 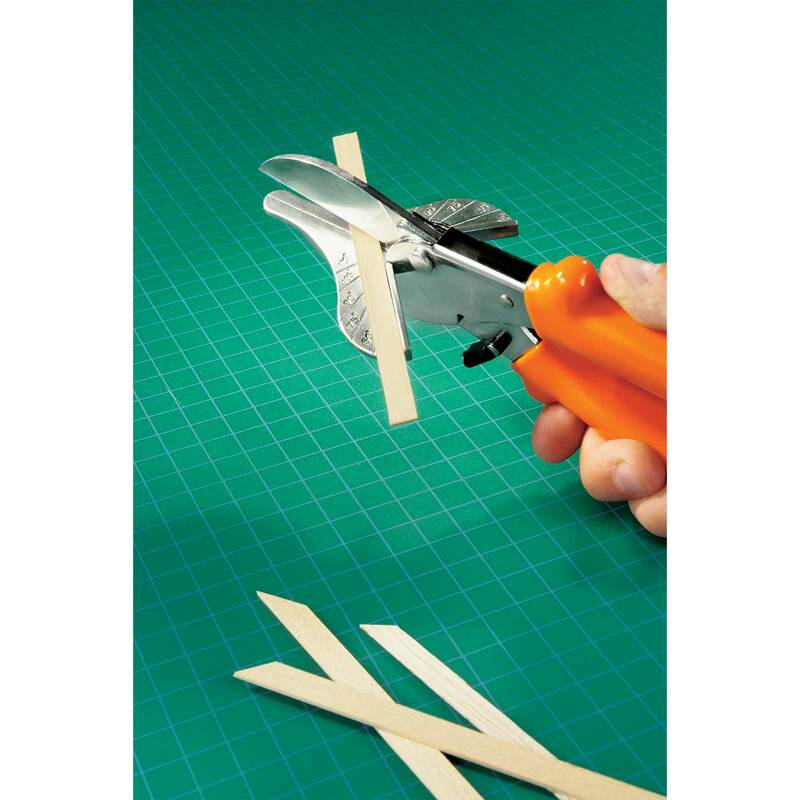 Will cut stock up to 1/2 inch thick x 1-1/2 inches wide. 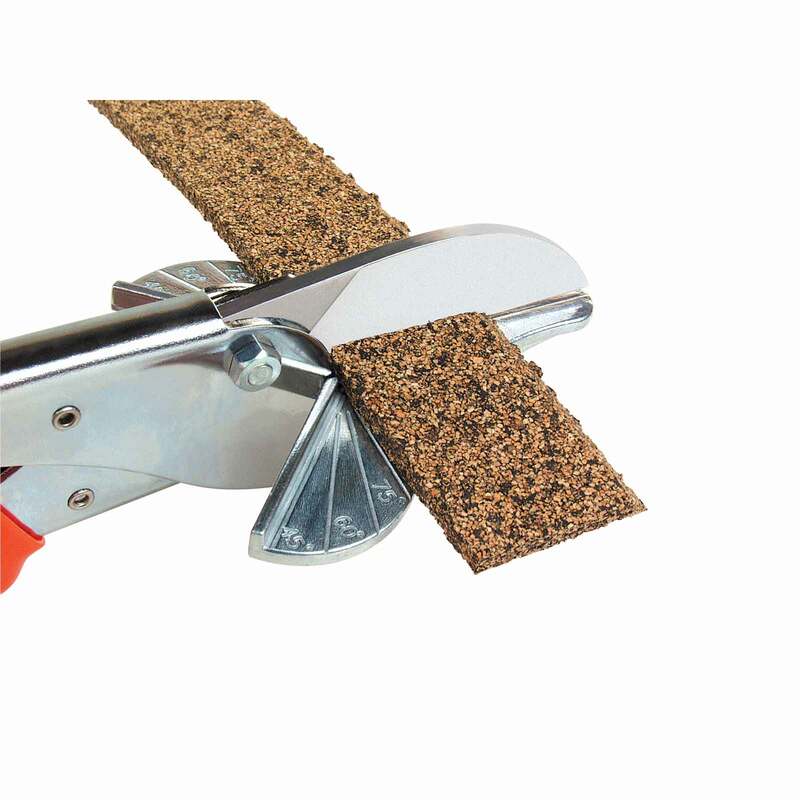 An industrial quality tool originally made to cut automobile interior trim.